The monastery is located in the Central Balkan Mountains east of Vratsa in the gorge of GabrovitsaRiver at the foot of MountIzmerets. Located about 80 km east of Sofia on the way to Mezdra through the Iskar River Gorge, 50km from Vratsa and 5 km south of Train Station Eliseyna. There are two legends of the Seven Altars/Thrones. According to one of them the monastery was built in the eleventh century, when seven Bessarabian nobles settled in the mountains and found the villages Lakatnik, Leskov Dol, Zhelen, Osenovlak, Ogoya, Ogradishte and Bukovets. According to the other legend, the monastery was founded around the time of the uprising of Peter Delian in 1040. The earliest evidence of the existence of the monastery is from 1511. During the era of the Ottoman Empire, the monastery was renovated twice in 1770 and in 1815 respectively with funds collected by the local population. The Bishop of Vratsa St. Sophronius of Vratsa served liturgy in the monastery and in 1848 a small monastery school was founded. The monastery church dates from the XI century, but no signs of its authentic architecture have remained till today. 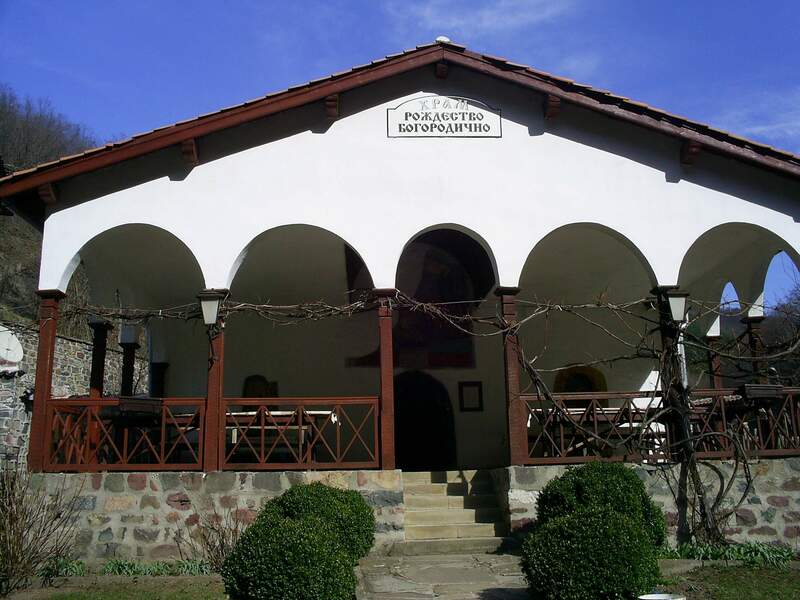 In 1770 a master from Troyan refurbished the church, which today can be seen in an early National Bulgarian Revival architectural form. The building is unique with its seven altars and has no equivalent in Bulgaria. Four main altars form a cross and are separated from the main hall by interior walls. Two other altars are situated near the door, and the last, the seventh altar is situated opposite the entrance of the church. Each “throne” (altar) forms a chapel with individual frescoes and iconostasis, dedicated to a Bulgarian saint. The writer Zmey Gorianin (1905-1958) was buried behind the altar apse of the monastery church”. How to get there: You may also travel by train. You should take the train from Sofia to Mezdra and take off at Eliseyna Train Station. An asphalted road running alongside the GabrovitsaRiver leads to the monastery. The distance from the train station to the Monastery is 10 km or 2 hours and 30 minutes if you walk on foot. If you travel by car you know the route already. Please be reminded once again that summer clothing showing much bare flesh is not desirable. If you have the tourist booklet, where stamps of the 100 National Tourist Sites are collected you will find the Seven Thrones Monastery under No 78.